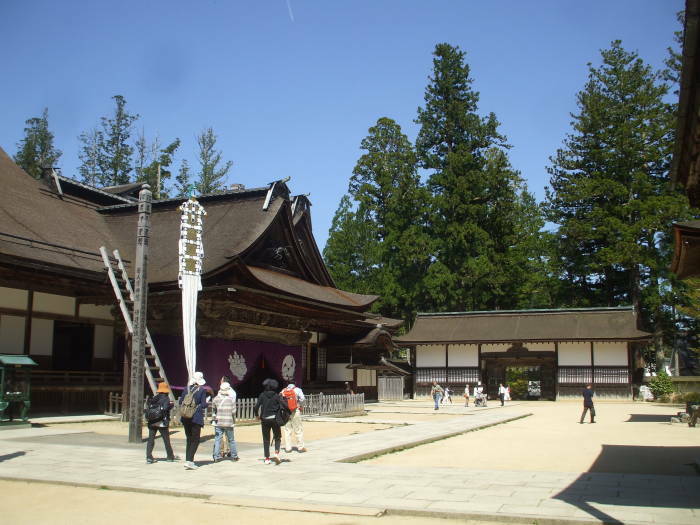 Kongōbu-ji or the Temple of the Diamond Mountain is the head temple of Kōyasan Shingon Buddhism. The name used to refer to the entire community, now it specifically means this one complex. Kongō-bu means "Diamond Mountain". Diamond is a Buddhist symbol of indestructibility. The ending -ji denotes a temple. The first temple was built here in 816 by Kūkai. It was modified through the centuries, and then burned down and was rebuilt in 1863. 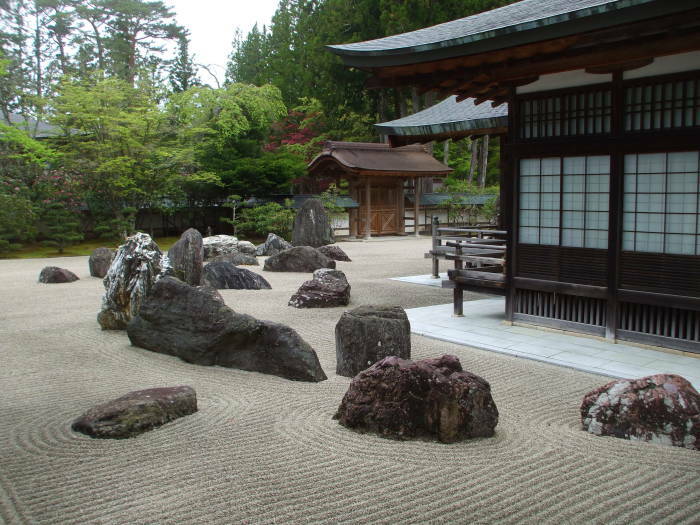 The Banryu-tei rock garden is the largest in Japan, over 2000 square meters in size. One hundred and forty granite blocks depict two dragons emerging from a sea of clouds to protect the temple.